There are many dishes one can make with babycorn, which must rate as one of the most popular ingredients in many homes. 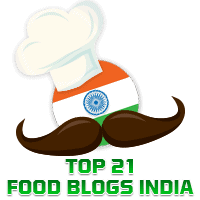 Elsewhere in this blog, you will find recipes for Babycorn Masala, Spicy Babycorn Satay, and Palak Babycorn Subzi, amongst others. All three use babycorn but are quite different from each other. Today's recipe is an interesting starter called Babycorn Pudhina, adapted from the recipe of the same name by ace cookery expert, Tarlaji Dalal. The flavour of mint sets this dish apart from many other starters. It is easy to make and is best served with tooth picks or cocktail forks. The touch of lime enhances the taste of the starter. Wash and clean the pudhina and coriander leaves thoroughly and roughly chop them. In a blender, blend together the chopped pudhina, chopped coriander, sliced onions, lemon juice, sugar, salt and green chillies to a smooth paste using very little water. This forms the chutney used to marinate the babycorn. Keep aside. Slit the babycorns vertically and boil them in salted water till they are cooked. Drain the excess water. In a bowl, combine the cooked babycorn with the prepared pudhina-coriander chutney.